President Woodrow Wilson's idea was first brought up with his 14 points. He believed that collective security would prevent another world war because if countries had strength in numbers and a common alliance, there would be no need for wars in the first place. 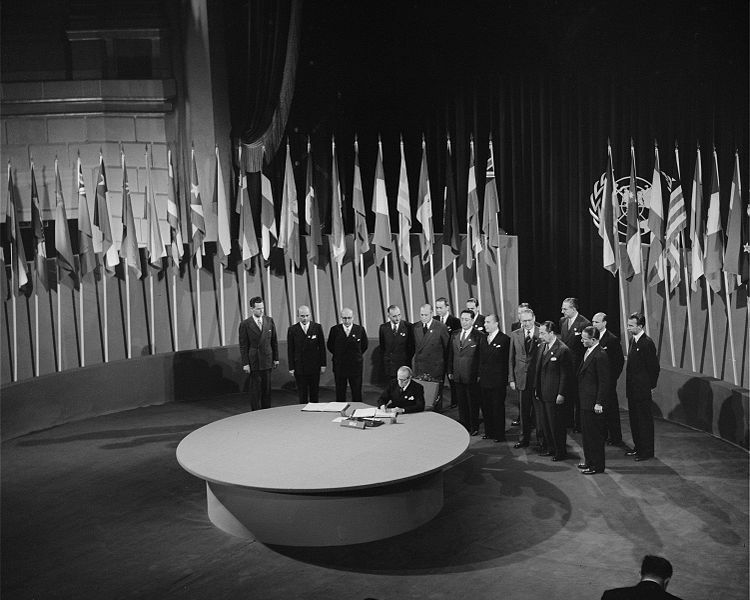 Because this sounded like a good idea, the League of Nations was formed. 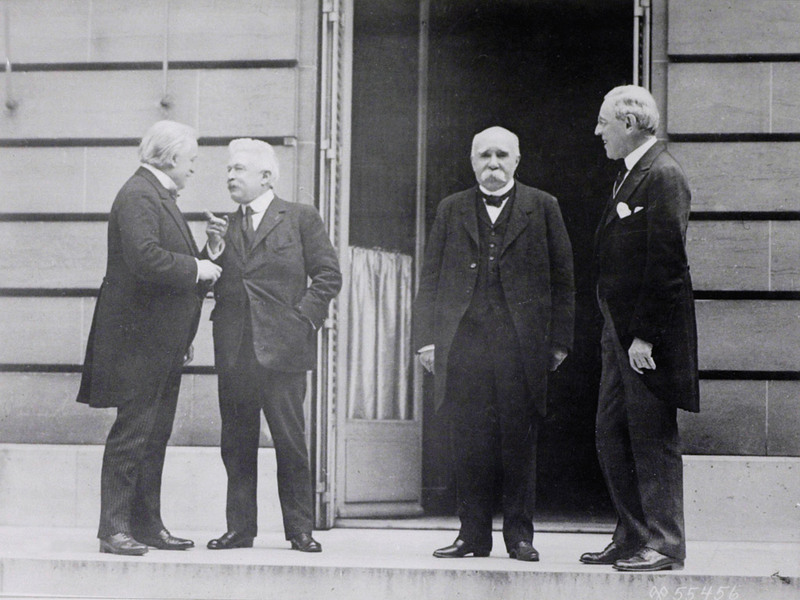 However, the League of nations was doomed from the start because the three most powerful countries (US, Russia, and Germany) were not included in the alliance; this caused the League to not last as long as they expected. The Big Three consisted of the United States, Great Britain & France. Each had their own opinion on how they should 'deal' with Germany. Before they became 'The Big Three', there was actually another, Italy. However during the war, Italy was constantly changing alliances, so by the time the war ended the other three didn't want Italy to be a part of the alliance. For the US, President Woodrow Wilson was the most lenient because Wilson wanted Germany to become a democracy and other countries in Europe to have their own independence and be able to govern themselves. France however, wanted to be the most harsh against Germany. Clemenceau wanted to weaken Germany with severe reparations so Germany would never be able to start a war ever again. Great Britain was the 'middle ground' between the US and France. Great Britain wanted Germany to pay for reparations, yet also still keep Germany as a trade partner because Germany and continue expanding their empire.